For everything that doesn't have it's own section of our website we've put them all in this category. The cards all come with their own envelopes. The rest of the "And More" inventory has details listed for each. There are a few designs of Tile coasters and some fabric coasters as well. If you would like a handmade washcloth, we have those too!! You may browse them under our Blog List. So you want to invite someone to your place for a party? 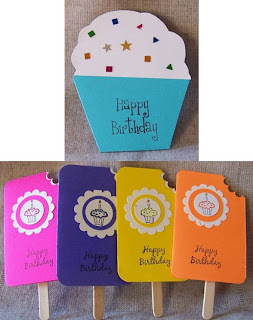 Send them a hand-made invitation! That will surely make them want to come even more!!! You may browse our invitations under our Blog List. 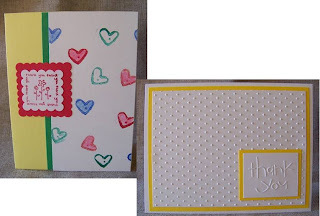 When a card doesn't say as much as you would like to, send a note card instead. They are blank inside so you can write down everything you wish to say. All cards come with envelopes. 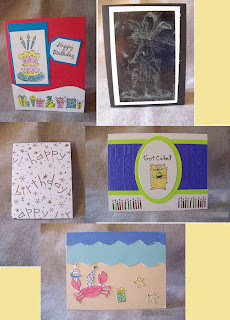 You may browse our note cards with the link under our Blog List. 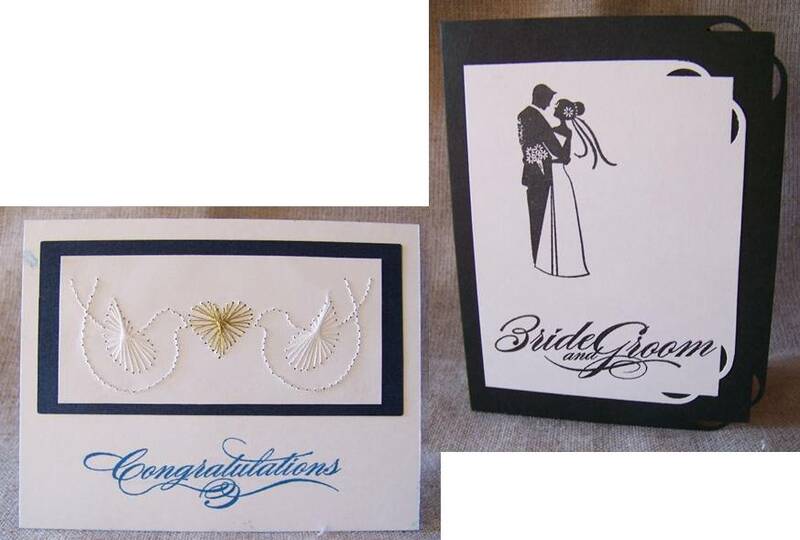 Most people have a few weddings a year to attend and a special card for the happy couple is always a necessity. 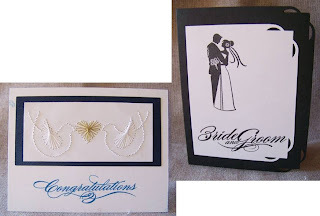 Feel free to browse our wedding cards under our Blog List. All our cards come with envelopes. For those of you that won't be able to make it to everyone's house for Thanksgiving, we've made cards for you to send them!! There is a variety of themes to choose from. All our cards come with envelopes. You may browse our Thanksgiving cards under our Blog List. Crafty Cards & More has started to expand our card collection with Thank You cards. This is a nice way for you to say "thanks" to someone without having to use the phone. All of our cards come with an envelope. 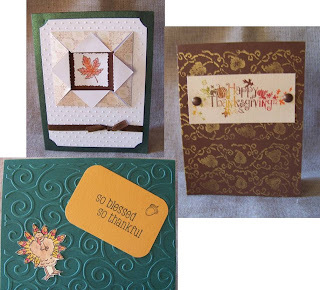 You may browse our Thank You cards under our Blog List. 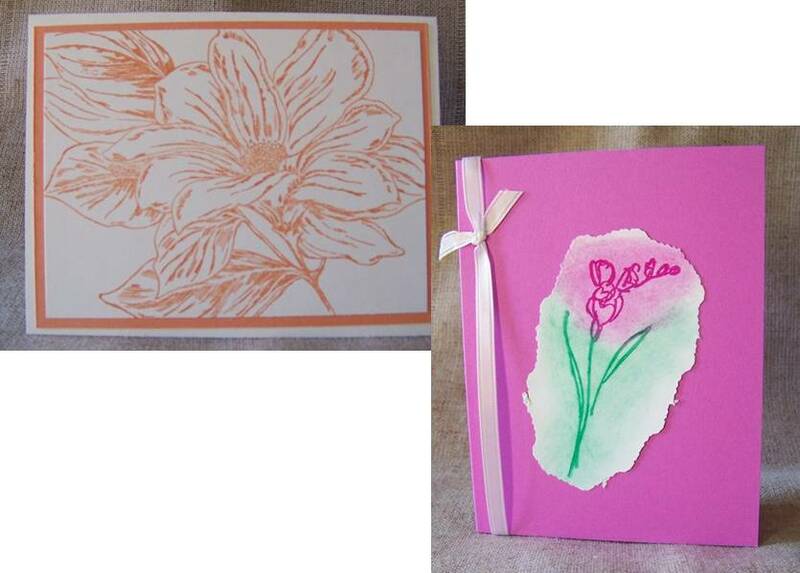 We have a few sympathy cards that are very peaceful. Everyone will need to send out a few of these in their life time and people do remember the cards they receive and truly appreciate a home made card. All of our sympathy cards come with envelopes. Feel free to browse them under our Blog List. Crafty Cards and More has a wide variety of Christmas cards in both secular and religious themes. 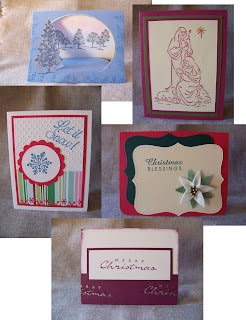 All our Christmas cards come with envelopes. This picture is just a sample of what we have. Check them out under our Blog List. We have birthday cards for anyone and everyone of all ages. 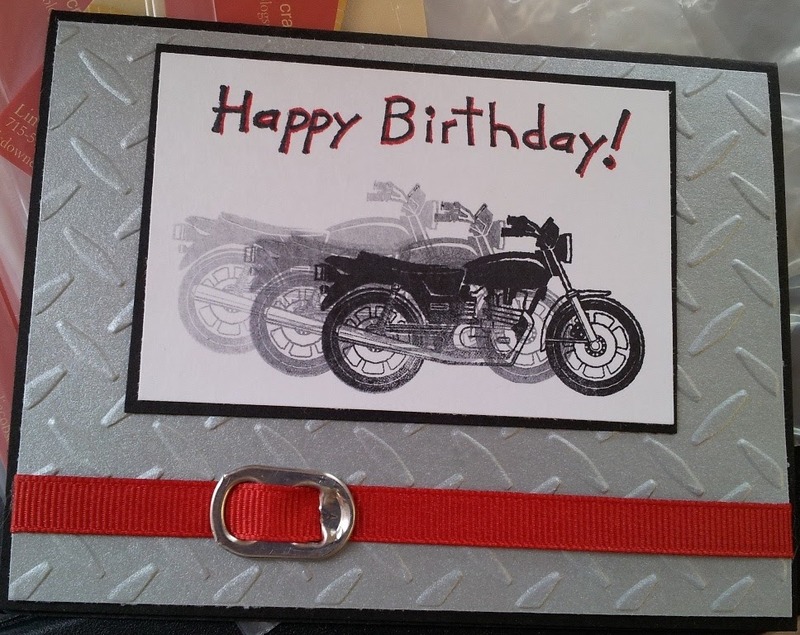 All of our birthday cards come with envelopes. This picture is just a sample of what we have to offer. You will find a list of them at the right under our Blog List. 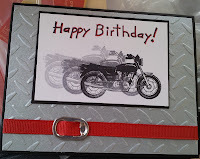 Here is just one of the new birthday cards that we have available for the 2012 Christmas season! If you would like to order anything please feel free to e-mail Judy or I. We would be more than happy to meet you or ship it to you for a minimal shipping fee.